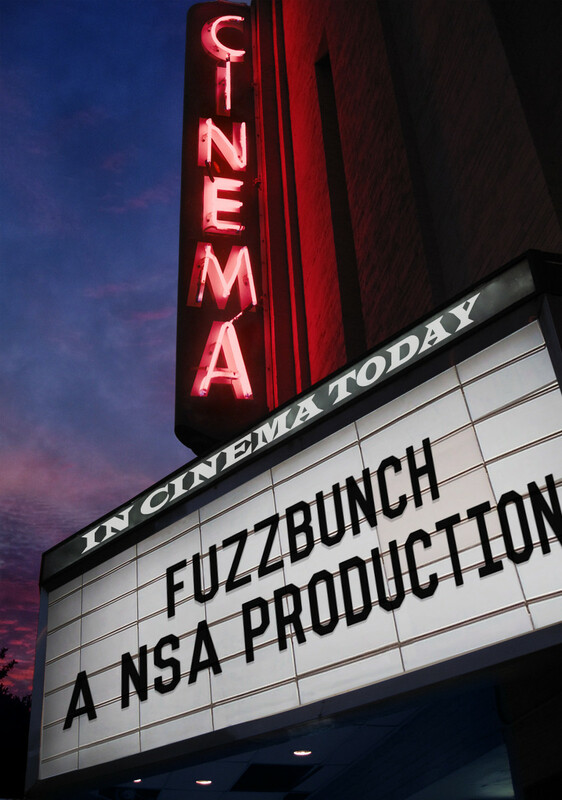 In this article we are going to try to analyse the functionality of this framework (fuzzbunch) and we're going to look at a little vulnerability inside the framework. We are going to use a couple different debugging tools in order to trace the execution and analyse it's important parts in the code itself. Fuzzbunch is the mini-framework written in python, Basically, this framework launches different types of binary modules. Examples include payloads such as DoublePulsar or exploits such as EternalBlue. next and step: to run the line we are on with the difference being that next stops on the following line. step stops inside a called function. 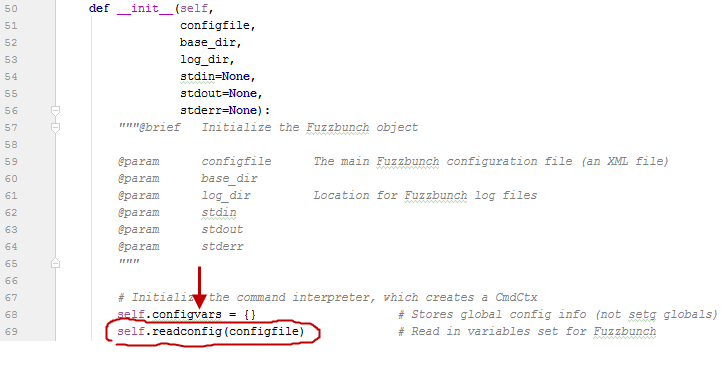 The variables marked in yellow correspond to different directories in fuzzbunch. 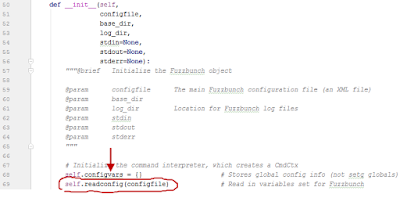 The method, setup_and_run creates an instance of the object FuzzBunch that is an object inherited from Cmd used to create interactives consoles (similar in style to gdb or metasploit). As a default it sets the True value, so when we do the evaluation, we are able to access the enablecolor variable: Instead of true/false value, it's possible to inject python code so that it delivers us a reverse shell. It's pretty strange that eval is used from a configuration file to set variable. When you look at it, you can tell that they were thinking more about ease of development without paying a huge amount of attention to the security aspect. This should get everyone pretty excited if they are trying to find errors in these tools! 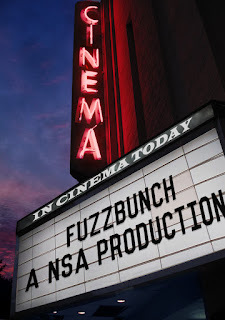 fuzzbunch runs the binary and waits a maximum of 45 seconds so that the binary establishes communication through an IPC. 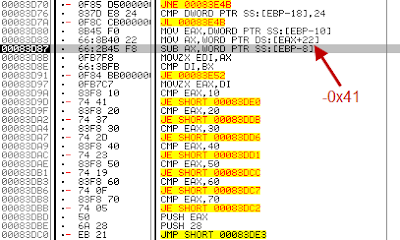 In case you reach the timeout, the framework throws up a message error in the IPC channel. To analyze this, we have to modify the binary with a loop in the EntryPoint and we need to increase the seconds for the Timeout to a value that lets us look at it with the environment running. The EntryPoint is overwritten with an infinite loop, allowing us to sleep the process allowing us to attach ourselves. If your goal is find crucial parts of the program, such as the state of the backdoor or the delivery of the exploit, we are able to stop it from running in TcLog that is a function that prints all the texts that are on the screen. 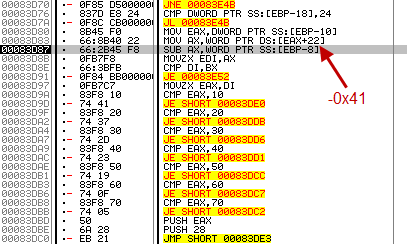 We can also see in send and recv that the use of these functions is to deliver packets. All the tips we mentioned should work with any module that has the framework. 61h 71h 81h y 91h are messages of the state, such as, ''Bad transaction" or "Invalid transaction Param"
It's important to mention that there are already modules in different tools such as nmap or metasploit to check to see if a machine was compromised.